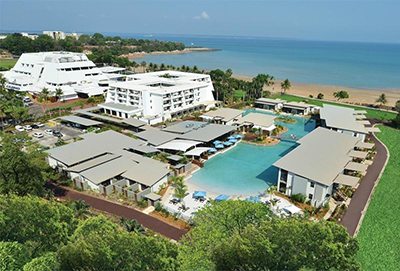 Skycity Darwin is the only land-based casino in Darwin and one of just two in the Northern Territory. Operating on its current premises since 1983 (granted its license in 1979) the casino has had many names since. Situated on 30 acres of beautiful gardens, which are located next to the Arafura Sea, the casino offers more than 700 electronic gaming machines, almost 30 table games, and more, plus accommodation, dining options, and other facilities. Skycity Casino offers players entertainment 24-hours a day, seven days a week. Skycity Darwin is equipped with over 700 electronic gaming machines, with many offering huge jackpots, and almost 30 table games. The gaming machines are available 24 hours a day, seven days a week, while the table games are open from 12pm every day. You will also find an array of table limits on offer to suit your bankroll, from as low as $1 to $5 and as much as $9999, as well as helpful how to play guides for the table games. It is important to note the main gaming floor closes at 4am from Sunday through to Thursday, and at 6am Friday and Saturday. You can still access the pokies, however. Skycity Darwin offers regular promotions for their players – simply sign up to become a Premier member. Some of these offers are temporary, but there are also ongoing offers. Up the Ante: Every Wednesday Premier Rewards members are put in a draw, with at least one winner pocketing $5000 in cash. Diamond Deals: Diamond members (see below) can redeem a snack or meal deal for free. Diamond Dollars Slots Tournament: Every Friday night Diamond Members can enter the Diamond Dollars Slots Tournament and have the chance to win $1000. Spin to Win: Every Monday between 10am and 12pm, as well as between 7pm and 9pm, draws take place with Premier Rewards members having the chance to spin the wheel and win some incredible prizes. Seniors Social Day: If you are a Premier Rewards member and over the age of 50, every Monday you can opt in to receive a special deal. Grocery Grab – MYSTERY PICK: Every Monday from 1pm to 5:30pm, half hourly draws will take place offering up to $1000 in prizes each week for Premier Rewards members. Sky City Darwin rewards their players via a special membership program which players can join by visiting the Premier Rewards Desk. You can check out all the rewards on offer for each tier via their website under the Premier Rewards link. Skycity Casino offers more than just a two level gaming floor – there’s a premium hotel attached, a number of restaurants and bars, and a Day Spa too. Hotel and resort: Featuring Hotel or Resort rooms players can utilise the pool, wind down on the private white sand beach, or visit the Lagoon Day Spa, which is all connected to the 24-hour casino. Restaurants: There’s five restaurants available to dine at including The Vue, il Piatto, EVOO, The Cove and Dragon Court. Bars: There’s four bars at Skycity including ACES (sports bar), Sandbar, Terrace Bar, and CentCity (café with 1c pokies). As we mentioned at the start of the article, Skycity Darwin has had plenty of names since it was first established in 1983. Then is was known as the Mindil Beach casino, but in 1984 the NT government acquired it, as well as the Alice Springs Casino, and this saw the name change to the Diamond Beach Hotel and Casino. This name remained the same for 10 years. In 1995, MGM Grand acquired the casino complex and it was renamed to MGM Grand Darwin, which stuck for almost another decade. 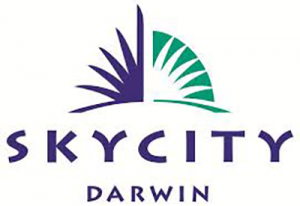 Finally, in 2004 the Skycity Entertainment Group purchased and renamed the complex to its current name, Skycity Darwin Casino.